Michele & Cinzia believe that elegance and practicality are the fundamentals of excellent design. They create homes that improve your lifestyle and wellbeing - and that you never want to leave! A convenient & totally bespoke online interior design service. Flat fee packages: £95/£195/£250 per room. Complemented by our home visit, consultancy, commercial design & personal shopping services. Choose from our all-inclusive renovation services, such as designing your space entirely from scratch. Please take a look at our reviews: we deliver your project on time, on budget, hassle-free. Mia’s Swedish influence comes through in her simple, functional and natural solutions and is complemented by many years’ experience in London to encompass traditional, elegant and modern approaches. We offer interior design and interior architectural design services across Greater London. From extensions to redesigning your existing living spaces, we can help! 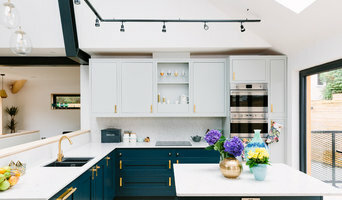 Brooke aims to create inspirational interiors, mixing colour, materials, styles and pattern, and working closely with clients to create characterful homes full of warmth and charm. Mariia created Up For Grabs to make design available to everyone. She and the team will take away all stress and leave only the fun part to you to create your perfect home. Whole home & single room. HollandGreen is a boutique residential architectural and interior design practice working across London, Surrey, Berkshire, Oxfordshire and Buckinghamshire. We specialise in high end extensions and renovations to period properties, as well as undertaking barn conversions and new builds. We also have extensive expertise on working with listed buildings and within conservation areas. 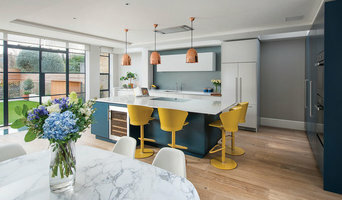 We were established in 2010 by Ben Holland and Stephen Green who recognised, whilst working within a national Architectural Design company, that there was a better way of doing things. Our ultimate aim being to not only improve the way we live in our homes, but to also add value and bring people together. 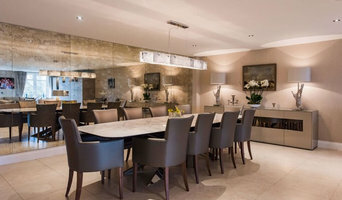 Our mission is to, ‘Transform People’s Lives by Creating Wonderful Living Spaces.’ We founded a company that specialises in designing the best house extensions, renovations and new homes – and nothing else. By recruiting bright and forward thinking Architects and Technicians from within the industry we have broken the process down into its various stages and created a new client-focused business model. It is based on easy access to information, better communication delivering a better customer experience through innovation and 3D modelling, better design and better budgeting. In summary, our aim is to make the process enjoyable and involving for our clients so we become the first port of call for anyone looking to extend their home! We interpret our client’s desires and lifestyle needs to transform their home into a beautiful, practical living space. We are dedicated to the highest standards of design and customer service. We specialise in making reclaimed materials look contemporary & have an unrivalled ability for sourcing highly desirable midcentury & antique furniture as well as decorative effects.